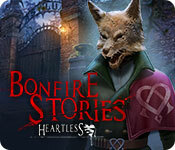 Bonfire Stories: Heartless is rated 4.5 out of 5 by 19. Rated 5 out of 5 by ljack08 from Good. It was a good game. Good graphics. Rated 5 out of 5 by jancar26 from Love it The storyline was fantastic! I got lost in the character. Graphics were great. Will defiantly be buying this series as games become available. Rated 5 out of 5 by kerith90angel from This is in my top 2 favorite games of 2018 BASED ON COMPLETED GAME & CE BONUS PLAY I LOVED this game. I wish I could rate it higher than 5*. The story is SO thought out, and you don’t even learn most of it until you get some files in chapter 6. They look like authentic documents with life like photos. They were so incredible I found myself reading every little thing about each character to learn more of the story. The storyline is way more involved than the demo suggests; like reading a great book you don’t want to put down. This game will keep you on your toes until the very end. You think it’s going one way and a twist happens here and there. This DEV took the time to create the most incredible end to the main game. I actually did a fist pump (that caught me by surprise LOL) at the end of the main game. :) I did a more detailed review under the CE page for this game in case someone may be interested about you might be missing in the SE- you may want to read that one instead. The SE portion took me 3hrs 15min (my total game play for the CE version was 4hrs 05min). I play on custom, @ a normal pace, and like to work things out on my own. I don’t like a lot of the fiddle type of MG and will skip them the second I’m frustrated. I adore HOS and play with penalty when I can- so it will take some ppl a bit more time than me. So much time, effort & detail went into many things such as notes, articles, photos, as well as environmental sound effects with A+ voice actors. The people that did the background effects and the voice actors need to be commended. I’ve been playing games for years and this game did it the best I’ve ever encountered. Just before the demo ends you hear people shouting through the woods and it wasn’t just a first person voiceover with a mic. The way it was done here, the player feels a part of the action because the baddies voices are “off in the distance” and it makes the fear of the player heighten because you as the player feel like you are actually there with the action. Some voices sound far off and some sound like they are right beside you. I’ve never seen this done in casual gaming and it was PERFECT. You can hear the echoes off in the distance and other woodland effects. I even liked the game effect sounds which aren’t too loud or annoying; they are understated. The graphics are incredible from the beginning to the end of this game. I adore when a DEV still make game scenes beautiful to play in (gorgeous waterfall and woodland scenes) despite being a paranormal/horror game while at the same time give the player a sense of urgency and fear. PERFECTLY DONE HERE! Inventory items are not held all that long so you actually remember where they go. The cut scenes were also done with care. There were only a few things about this game I didn’t like. The first were metal animal traps (thankfully they were not used on animals). I just wish the game didn’t have them at all because in a perfect world they wouldn’t exist. The other, was the effects modulator applied to the bad guy’s voice over was a bit hard to understand. I wished the MAP was set up so you could click on it directly because as it is, it requires a 2 step process to open. There is no journal/diary in this game and it would have really benefitted from one since the story was so well done. I prefer when a journal is provided (with the cutscenes added to the journal) because quite often I will wait to buy the CE on sale, or play other games in between and can’t remember the storyline from the demo to when I purchase the game. That creates a disconnect for me with the game in general. By having a journal, I am way more invested in the characters and story if I have a way to refresh the story to what I’ve played so far before buying the game. I loved the color theme used in this game. Gray & natural tones are mostly used and they feel realistic, which again makes the player feel like they are in a more authentic environment as a whole. I’ve grown so tired of neon colors in games or oversaturated scenes from the beginning to the end of a game that has no change in the color scheme. I’ve noticed I want to buy a game ASAP that is using natural, realistic, colors that make it way easier on my eyes to spend a few hours looking at and that’s what I did with this CE, bought it right away. If you liked this game, I thought these had some similarities, so you may want to try the demo here @ BFG: 1. 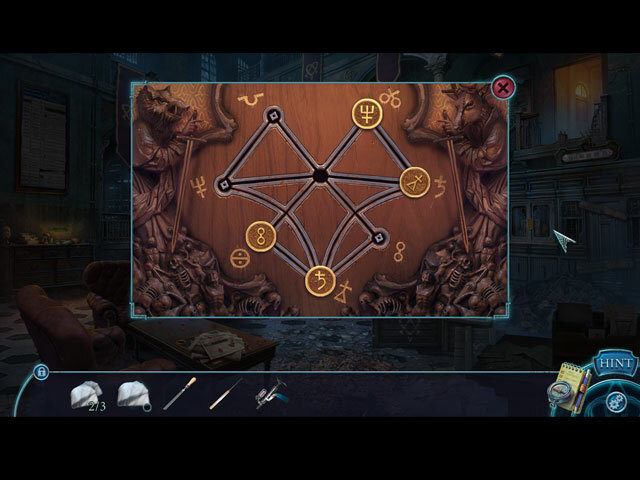 Enigmatis 2: The Mists of Ravenwood 2. Shtriga: Summer camp 3. Paranormal Files: Fellow Traveler 4. Fear for Sale 11: The Curse of Whitefall 5. Phantasmat: Curse of the mist 6. Campfire Legends Trilogy Thank you to BFG & all of you at Mariaglorum that worked on this. You should be so proud of this series! I am such a fan yours, and can't wait for the next one. Rated 5 out of 5 by katnap123 from I knew I'd like this game... because I liked the first Bonfire game, and this one is a continuation of where the first story left off. A small group of people are sitting around a campfire telling scary stories, and now it's the second person's turn to tell his story. 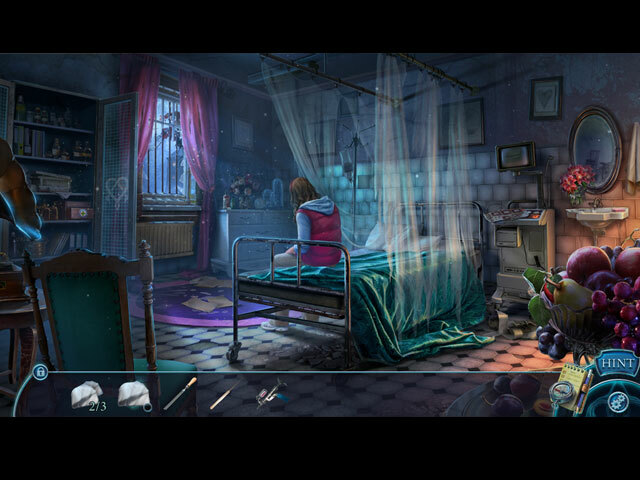 Although this game does get suspenseful at times, the dark horror factor isn't there, and that suits me just fine. I tend to stay away from games that are too depressing. I wont give the plot away. I'll just say that the story is involved and interesting, and I really enjoyed it. The colors and ambiance are just right, just dark enough to add to the overall feel of the game. The puzzles are unique and interesting too, not too difficult but not so easy a small child can do them. If you liked the first one, you'll love this one, and it gets even better the further along you play. Rated 5 out of 5 by tophatmcgee from Another Winner, this is an Excellent Series, Bring them on! I have really enjoyed both of the Bonfire stories, the games are bright and quick, the stories are engaging, the puzzles and games are challenging without getting frustrating. There is a good variety. The length was good as well, it did not drag at all. This is one of my favorite series, I hope that they come out with more soon! Rated 5 out of 5 by layzeedaisy from A lot of Heart in this Tale A most immersive story line with a great twist at the end. The whole game flowed through beautifully, no boring bits at all. I thoroughly enjoyed playing this game. I hope Mariaglorum do another in this series. Rated 5 out of 5 by R3DFOX01 from Worth the Money I played the demo and immediately got hooked. I bought it and finished the game. Everything was good. I do recommend this game, but maybe get collectors edition so that you can play the bonus level. My only nitpicks are that some of the puzzles were difficult for me and (SPOILERS AHEAD) I don't know what happened to Margaret at the end. Rated 5 out of 5 by patricia356 from Unpredictable story with a surprising twist. I thought this was an excellent game overall. I had not loved the first Bonfire Stories so I was wary about this one. Playing the first part of he game you would never have guessed that it would end the way it did. So many games are predictable that it was refreshing to have such an unusual story line. Graphics, music, voice overs were very well done. My only complaint was that you did get objects far ahead of needing them and I would forget where they were needed so had to ponder the map. Thank goodness there was one! As the game progressed there seemed to a lot of back and forth and using the map saved having to keep navigating through the rooms. But that is minor. I would definitely recommend this game. Rated 5 out of 5 by MetLaugh from A good game This is a good game with a lot to offer for not being a collector's edition. I played quite awhile on the simplest setting even though I am more experienced than that. If you have a free game coupon, go for it. I will replay on a tougher setting buy I highly recommend this. I would really like to see the CE if it has morphing objects or collectors items to find. The regular game is pretty straight forward and I missed the challenge of those little extras. 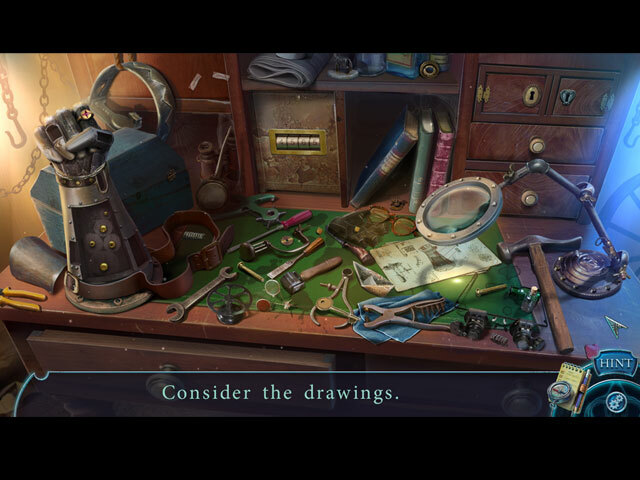 The story is sort of on the line of the usual Hidden Objects but has some flair usually missing. I really appreciate the extra effort. The art is great. The music is unobtrusive. I will target more of this company's games when I am using earned chips etc. Thanks! Rated 5 out of 5 by bessiegirl from I enjoyed it An interesting, smooth flowing game. Scenes could be a little dark (color wise) but I found the game quite enjoyable. Options allow you to customize your own game which is always a plus. Not a puzzle player I actually found most of the puzzles/mini games to be easy and was able to immediately skip those I didn't want to spend time with. HOS were creative and clever. Story line was something I haven't seen before and had a very interesting twist at the end. Transporter map was excellent and the hint was also a transporter. A fair amount of dialog, some you can skip, some you can't but the cut scenes were actually kind of interesting and did fill out the story.